Transforming Difficult Literacy Concepts into Comedy and Song! The guaranteed best programming your elementary school has EVER HAD or you don’t have to pay! 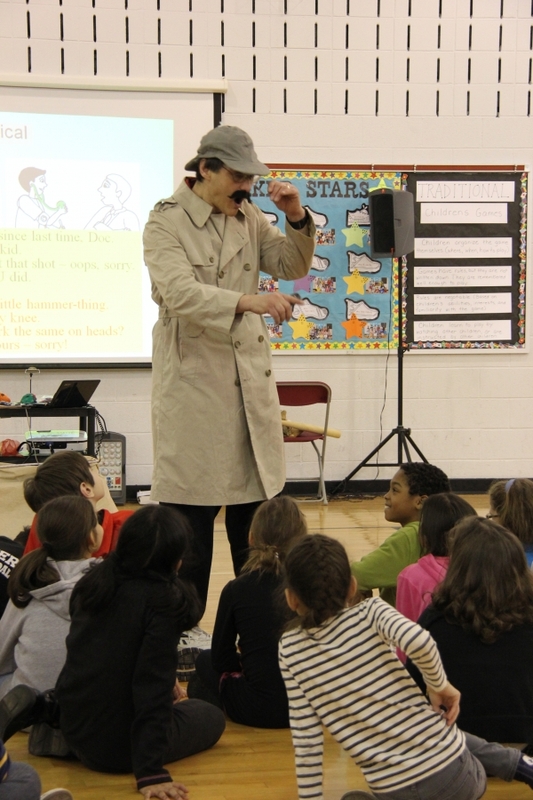 Multi-award-winning children’s author and performer, Jeff Nathan, applies HUMOR, performing arts, music and MORE HUMOR to the literacy focal-points that are most important at each grade level. This full-day visit is partitioned into specific grade-level sessions, creating a unique magical experience for students and teachers. The assembly and workshop magic can be augmented by a phenomenal literacy event for families that could be your most well-attended evening program EVER, thanks to the student excitement over the daytime activities. Why do they love their assembly so much? Because, rather than sitting in a one-size-fits-all many-grade program, they interact with a customized experience tuned to THEIR specific curriculum needs, THEIR humor level and THEIR attention span. This focus is the same reason that the teachers love THEIR programs, which help them achieve their classroom goals while providing additional strategies that can be used year after year. See many more testimonials HERE!